To answer this question, one should rely on your company’s Income Statement rather than your bank balance. This is Revenue minus Direct Costs. This is typically found at the top of the income statement. “Revenue” is income from your company’s primary sources of operation aka what your company is set up to do to make money. For example, for a computer store, revenue might be income from computer sales and / or computer repairs charges. Alternatively, interest income earned from your bank account is not revenue (typically this would be considered “other income”), because likely you are not a business that primarily earns money from bank interest. “Direct Costs” (aka- Cost of Goods) are any costs directly attributable to generating income. For a computer store, some examples of direct costs include the cost of purchasing the computer from a computer manufacturer, commission paid to salespeople, freight and postage related to shipping the computer to customers, or any merchant service fees attributable to each computer sale. Direct costs are typically variable costs as direct costs are positively correlated to the amount of products or services you sell. This means for every computer you sell / repair, your direct costs should increase. This is gross profit minus overhead expenses. This section is typically found at the bottom of your Income Statement. “Overhead Expense” is anything not directly attributable to generating revenue. Some overhead costs include facility rent and utilities, repairs and maintenance, salaries and wages for office staff, and professional expenses. These costs do not attribute directly to generating sales, but are essential to the overall business operation. Even though these costs might grow as your business grow, they are not directly correlated to the number of sales your company makes. For instance, paying for your accounting staff will not directly increase computer sales, you need an accounting staff in order to keep your business operational. Therefore, accounting staff costs would be considered as an overhead expense. For a job to be considered profitable, it must generate enough gross profit. To break it down, the revenue you receive from the job should be sufficient to cover the job expenses. For a business to be profitable, the gross profit from all active jobs must be sufficient to cover your overhead expenses. The problem is that some businesses don't see that profits from each job must first cover company overhead first before flowing through to your company bank account. Although certain jobs generate more revenue than direct costs (i.e.- they put money in the bank) these jobs might not generate enough gross profits to generate profits after overhead expenses. I have money in the bank, doesn’t that mean everything is okay now? Not necessarily. 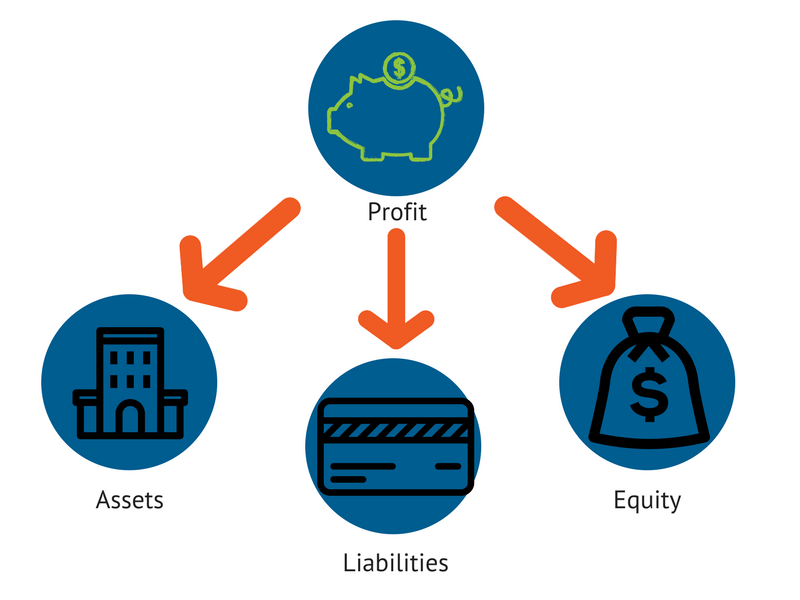 The cash balance in your bank at a point in time is not an indicator on company profitability. You may also owe some of that money to lenders or to owners- that money sitting in the account has someone else's name on it! Also, due to timing and payment terms, certain cash outflow might not happen until later during the fiscal year. For instance, insurance payments often are not divided in equal monthly payments. Based on the payment terms negotiated with your insurance company, your company might have to remit payments as a lump sum or as quarterly payments every fiscal year. 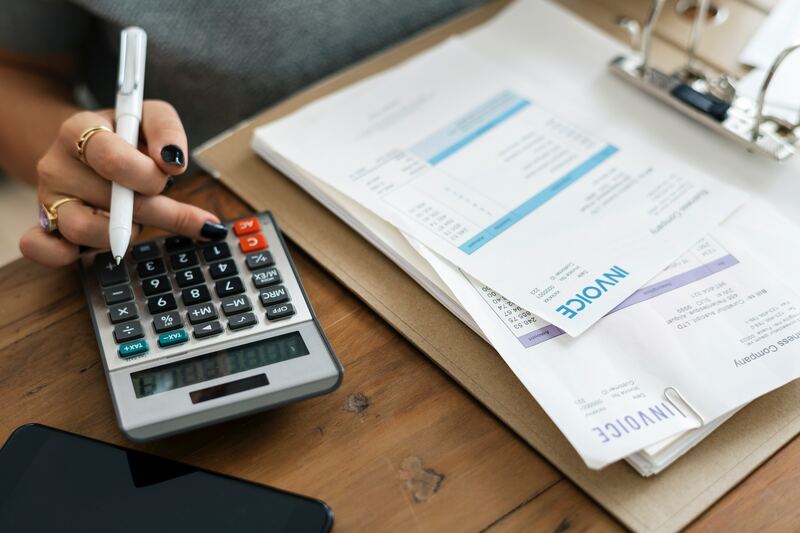 The Income Statement, however, will take all of these “accrual items” into consideration, and it will provide a much accurate indicator of your company’s profitability. 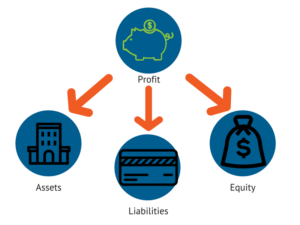 Therefore, we always recommend clients to rely on an accrual basis Income Statement to determine company profitability instead rather than looking at cash balance at the bank. Looking at your Income Statement (vs looking at the bank balance) can help you better understand the profits of your small business. At Accountingprose, we are small business experts and can provide your company beautifully tailored financial statements. Want to know more? Set a meeting with us today so we can help you achieve your financial goals!